POTENTIAL USE Now capable of independent missions in situations classed as too dangerous for Time Lord intervention.EQUIPMENT Sophisticated polysensory tracking systems. Selfenergising drive and decision-making capability. Multiphase photon-blaster infinitely variable from ‘immobilisation’ to ‘dematerialisation’. 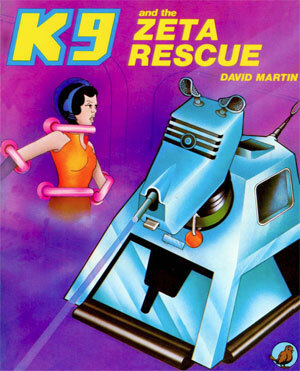 K9 was flight-testing his new spacecraft K-NEL when the space controller’s voice shrieked in his receivers. With a wag of his tail, K9 flicked the gleaming white craft into a dive towards Gallifrey.